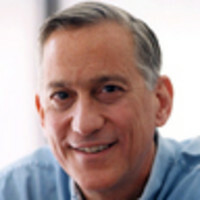 In an excerpt from his new book, The Innovators, Walter Isaacson recounts the improbable story of the online encyclopedia that has proven its detractors wrong time and again. When he launched the Web in 1991, Tim Berners-Lee intended it to be used as a collaboration tool, which is why he was dismayed that the Mosaic browser did not give users the ability to edit the Web pages they were viewing. It turned Web surfers into passive consumers of published content. That lapse was partly mitigated by the rise of blog­ging, which encouraged user-generated content. In 1995 another me­dium was invented that went further toward facilitating collaboration on the Web. It was called a wiki, and it worked by allowing users to modify Web pages—not by having an editing tool in their browser but by clicking and typing directly onto Web pages that ran wiki software. The application was developed by Ward Cunningham, another of those congenial Midwest natives (Indiana, in his case) who grew up making ham radios and getting turned on by the global communities they fostered. After graduating from Purdue, he got a job at an elec­tronic equipment company, Tektronix, where he was assigned to keep track of projects, a task similar to what Berners-Lee faced when he went to CERN. To do this he modified a superb software product developed by one of Apple’s most enchanting innovators, Bill Atkinson. It was called HyperCard, and it allowed users to make their own hyper-linked cards and documents on their computers. Apple had little idea what to do with the software, so at Atkinson’s insistence Apple gave it away free with its computers. It was easy to use, and even kids—especially kids—found ways to make HyperCard stacks of linked pictures and games. Cunningham was blown away by HyperCard when he first saw it, but he found it cumbersome. So he created a super simple way of creating new cards and links: a blank box on each card in which you could type a title or word or phrase. If you wanted to make a link to Jane Doe or Harry’s Video Project or anything else, you simply typed those words in the box. “It was fun to do,” he said. Now he needed a name. What he had created was a quick Web tool, but QuickWeb sounded lame, as if conjured up by a com­mittee at Microsoft. Fortunately, there was another word for quick that popped from the recesses of his memory. When he was on his honeymoon in Hawaii thirteen years earlier, he remembered, “the airport counter agent directed me to take the wiki wiki bus between terminals.” When he asked what it meant, he was told that wiki was the Hawaiian word for quick, and wiki wiki meant superquick. So he named his Web pages and the software that ran them WikiWikiWeb, wiki for short. In his original version, the syntax Cunningham used for creating links in a text was to smash words together so that there would be two or more capital letters—as in Capital Letters—in a term. It be­came known as CamelCase, and its resonance would later be seen in scores of Internet brands such as AltaVista, MySpace, and YouTube. Like Berners-Lee, Cunningham made his basic software available for anyone to modify and use. Consequently, there were soon scores of wiki sites as well as open-source improvements to his software. But the wiki concept was not widely known beyond software engineers until January 2001, when it was adopted by a struggling Internet entrepreneur who was trying, without much success, to build a free, online encyclopedia. After graduating from Auburn and a halfhearted stab at graduate school, Wales took a job as a research director for a Chicago financial trading firm. But it did not fully engage him. His scholarly attitude was combined with a love for the Internet that had been honed by playing Multi-User Dungeons fantasies, which were essentially crowdsourced games. He founded and moderated an Internet mailing list discussion on Ayn Rand, the Russian-born American writer who espoused an objectivist and libertarian philosophy. He was very open about who could join the discussion forum, frowned on rants and the personal attack known as flaming, and managed comportment with a gentle hand. “I have chosen a ‘middle-ground’ method of moderation, a sort of behind-the-scenes prodding,” he wrote in a posting. Before the rise of search engines, among the hottest Internet ser­vices were Web directories, which featured human-assembled lists and categories of cool sites, and Web rings, which created through a common navigation bar a circle of related sites that were linked to one another. Jumping on these bandwagons, Wales and two friends in 1996 started a venture that they dubbed BOMIS, for Bitter Old Men in Suits, and began casting around for ideas. They launched a panoply of startups that were typical of the dotcom boom of the late ’90s: a used-car ring and directory with pictures, a food-ordering service, a business directory for Chicago, and a sports ring. After Wales relo­cated to San Diego, he launched a directory and ring that served as “kind of a guy-oriented search engine,” featuring pictures of scantily clad women. The rings showed Wales the value of having users help generate the content, a concept that was reinforced as he watched how the crowds of sports bettors on his site provided a more accurate morning line than any single expert could. He also was impressed by Eric Ray­mond’s The Cathedral and the Bazaar, which explained why an open and crowd-generated bazaar was a better model for a website than the carefully controlled top-down construction of a cathedral. Wales next tried an idea that reflected his childhood love of the World Book: an online encyclopedia. He dubbed it Nupedia, and it had two attributes: it would be written by volunteers, and it would be free. It was an idea that had been proposed in 1999 by Richard Stallman, the pioneering advocate of free software. Wales hoped eventually to make money by selling ads. To help develop it, he hired a doctoral student in philosophy, Larry Sanger, whom he first met in online discussion groups. “He was specifically interested in finding a philoso­pher to lead the project,” Sanger recalled. Sanger and Wales developed a rigorous, seven-step process for creating and approving articles, which included assigning topics to proven experts, whose credentials had been vetted, and then putting the drafts through outside expert reviews, public reviews, professional copy editing, and public copy editing. “We wish editors to be true experts in their fields and (with few exceptions) possess Ph.Ds.,” the Nupedia policy guidelines stipulated.92 “Larry’s view was that if we didn’t make it more academic than a traditional encyclopedia, people wouldn’t believe in it and respect it,” Wales explained. “He was wrong, but his view made sense given what we knew at the time.” The first article, published in March 2000, was on atonality by a scholar at the Johannes Gutenberg University in Mainz, Germany. It was a painfully slow process and, worse yet, not a lot of fun. The whole point of writing for free online, as Justin Hall had shown, was that it produced a jolt of joy. After a year, Nupedia had only about a dozen articles published, making it useless as an encyclopedia, and 150 that were still in draft stage, which indicated how unpleasant the process had become. It had been rigorously engineered not to scale. That was when Wales and Sanger discovered Ward Cunningham’s wiki software. Like many digital-age innovations, the application of wiki software to Nupedia in order to create Wikipedia—combining two ideas to create an innovation—was a collaborative process in­volving thoughts that were already in the air. But in this case a very non-wiki-like dispute erupted over who deserved the most credit. The way Sanger remembered the story, he was having lunch in early January 2001 at a roadside taco stand near San Diego with a friend named Ben Kovitz, a computer engineer. Kovitz had been using Cunningham’s wiki and described it at length. It then dawned on Sanger, he claimed, that a wiki could be used to help solve the problems he was having with Nupedia. “Instantly I was considering whether wiki would work as a more open and simple editorial system for a free, collaborative encyclopedia,” Sanger later recounted. “The more I thought about it, without even having seen a wiki, the more it seemed obviously right.” In his version of the story, he then convinced Wales to try the wiki approach. As for Wales’s version of the story, he later claimed that he had heard about wikis a month before Sanger’s lunch with Kovitz. Wikis had, after all, been around for more than four years and were a topic of discussion among programmers, including one who worked at BOMIS, Jeremy Rosenfeld, a big kid with a bigger grin. “Jeremy showed me Ward’s wiki in December 2000 and said it might solve our problem,” Wales recalled, adding that when Sanger showed him the same thing, he responded, “Oh, yes, wiki, Jeremy showed me this last month.” Sanger challenged that recollection, and a nasty cross­fire ensued on Wikipedia’s discussion boards. Wales finally tried to de-escalate the sniping with a post telling Sanger, “Gee, settle down,” but Sanger continued his battle against Wales in a variety of forums. That is the way that good ideas often blossom: a bumblebee brings half an idea from one realm, and pollinates another fertile realm filled with half-formed innovations. This is why Web tools are valuable, as are lunches at taco stands. Cunningham was supportive, indeed delighted when Wales called him up in January 2001 to say he planned to use the wiki software to juice up his encyclopedia project. Cunningham had not sought to patent or copyright either the software or the wiki name, and he was one of those innovators who was happy to see his products become tools that anyone could use or adapt. At first Wales and Sanger conceived of Wikipedia merely as an adjunct to Nupedia, sort of like a feeder product or farm team. The wiki articles, Sanger assured Nupedia’s expert editors, would be rel­egated to a separate section of the website and not be listed with the regular Nupedia pages. “If a wiki article got to a high level it could be put into the regular Nupedia editorial process,” he wrote in a post. Nevertheless, the Nupedia purists pushed back, insisting that Wiki­pedia be kept completely segregated, so as not to contaminate the wisdom of the experts. The Nupedia Advisory Board tersely declared on its website, “Please note: the editorial processes and policies of Wikipedia and Nupedia are totally separate; Nupedia editors and peer reviewers do not necessarily endorse the Wikipedia project, and Wikipedia contributors do not necessarily endorse the Nupedia project.” Though they didn’t know it, the pedants of the Nupedia priesthood were doing Wikipedia a huge favor by cutting the cord. Unfettered, Wikipedia took off. It became to Web content what GNU/Linux was to software: a peer-to-peer commons collabora­tively created and maintained by volunteers who worked for the civic satisfactions they found. It was a delightful, counterintuitive concept, perfectly suited to the philosophy, attitude, and technology of the Internet. Anyone could edit a page, and the results would show up instantly. You didn’t have to be an expert. You didn’t have to fax in a copy of your diploma. You didn’t have to be authorized by the Powers That Be. You didn’t even have to be registered or use your real name. Sure, that meant vandals could mess up pages. So could idiots or ideologues. But the software kept track of every version. If a bad edit appeared, the community could simply get rid of it by clicking on a “revert” link. “Imagine a wall where it was easier to remove graffiti than add it” is the way the media scholar Clay Shirky explained the process. “The amount of graffiti on such a wall would depend on the commitment of its defenders.” In the case of Wikipedia, its de­fenders were fiercely committed. Wars have been fought with less intensity than the reversion battles on Wikipedia. And somewhat amazingly, the forces of reason regularly triumphed. One month after Wikipedia’s launch, it had a thousand articles, approximately seventy times the number that Nupedia had after a full year. By September 2001, after eight months in existence, it had ten thousand articles. That month, when the September 11 attacks occurred, Wikipedia showed its nimbleness and usefulness; contribu­tors scrambled to create new pieces on such topics as the World Trade Center and its architect. A year after that, the article total reached forty thousand, more than were in the World Book that Wales’s mother had bought. By March 2003 the number of articles in the English-language edition had reached 100,000, with close to five hundred ac­tive editors working almost every day. At that point, Wales decided to shut Nupedia down. By then Sanger had been gone for a year. Wales had let him go. They had increasingly clashed on fundamental issues, such as Sanger’s desire to give more deference to experts and scholars. In Wales’s view, “people who expect deference because they have a Ph.D. and don’t want to deal with ordinary people tend to be annoying.” Sanger felt, to the contrary, that it was the nonacademic masses who tended to be annoying. “As a community, Wikipedia lacks the habit or tra­dition of respect for expertise,” he wrote in a New Year’s Eve 2004 manifesto that was one of many attacks he leveled after he left. “A policy that I attempted to institute in Wikipedia’s first year, but for which I did not muster adequate support, was the policy of respect­ing and deferring politely to experts.” Sanger’s elitism was rejected not only by Wales but by the Wikipedia community. “Consequently, nearly everyone with much expertise but little patience will avoid ed­iting Wikipedia,” Sanger lamented. Sanger turned out to be wrong. The uncredentialed crowd did not run off the experts. Instead the crowd itself became the expert, and the experts became part of the crowd. Early in Wikipedia’s devel­opment, I was researching a book about Albert Einstein and I noticed that the Wikipedia entry on him claimed that he had traveled to Al­bania in 1935 so that King Zog could help him escape the Nazis by getting him a visa to the United States. This was completely untrue, even though the passage included citations to obscure Albanian websites where this was proudly proclaimed, usually based on some third-hand series of recollections about what someone’s uncle once said a friend had told him. Using both my real name and a Wikipedia han­dle, I deleted the assertion from the article, only to watch it reappear. On the discussion page, I provided sources for where Einstein actu­ally was during the time in question (Princeton) and what passport he was using (Swiss). But tenacious Albanian partisans kept reinserting the claim. The Einstein-in-Albania tug-of-war lasted weeks. I became worried that the obstinacy of a few passionate advocates could under­mine Wikipedia’s reliance on the wisdom of crowds. But after a while, the edit wars ended, and the article no longer had Einstein going to Albania. At first I didn’t credit that success to the wisdom of crowds, since the push for a fix had come from me and not from the crowd. Then I realized that I, like thousands of others, was in fact a part of the crowd, occasionally adding a tiny bit to its wisdom. A key principle of Wikipedia was that articles should have a neutral point of view. This succeeded in producing articles that were generally straightforward, even on controversial topics such as global warming and abortion. It also made it easier for people of different viewpoints to collaborate. “Because of the neutrality policy, we have partisans working together on the same articles,” Sanger explained. “It’s quite remarkable.” The community was usually able to use the lodestar of the neutral point of view to create a consensus article offering competing views in a neutral way. It became a model, rarely emulated, of how digital tools can be used to find common ground in a contentious society. As it grew organically, with both its content and its governance sprouting from its grassroots, Wikipedia was able to spread like kudzu. At the beginning of 2014, there were editions in 287 lan­guages, ranging from Afrikaans to Žemaitška. The total number of articles was 30 million, with 4.4 million in the English-language edi­tion. In contrast, the Encyclopedia Britannica, which quit publishing a print edition in 2010, had eighty thousand articles in its electronic edition, less than 2 percent of the number in Wikipedia. “The cumu­lative effort of Wikipedia’s millions of contributors means you are a click away from figuring out what a myocardial infarction is, or the cause of the Agacher Strip War, or who Spangles Muldoon was,” Clay Shirky has written. “This is an unplanned miracle, like ‘the market’ deciding how much bread goes in the store. Wikipedia, though, is even odder than the market: not only is all that material contributed for free, it is available to you free.” The result has been the greatest collaborative knowledge project in history. So why do people contribute? Harvard Professor Yochai Benkler dubbed Wikipedia, along with open-source software and other free collaborative projects, examples of “commons-based peer produc­tion.” He explained, “Its central characteristic is that groups of in­dividuals successfully collaborate on large-scale projects following a diverse cluster of motivational drives and social signals, rather than either market prices or managerial commands.” These motivations include the psychological reward of interacting with others and the personal gratification of doing a useful task. We all have our little joys, such as collecting stamps or being a stickler for good grammar, knowing Jeff Torborg’s college batting average or the order of battle at Trafalgar. These all find a home on Wikipedia. There is something fundamental, almost primordial at work. Some Wikipedians refer to it as “wiki-crack.” It’s the rush of dopamine that seems to hit the brain’s pleasure center when you make a smart edit and it appears instantly in a Wikipedia article. Until recently, being published was a pleasure afforded only to a select few. Most of us in that category can remember the thrill of seeing our words appear in public for the first time. Wikipedia, like blogs, made that treat avail­able to anyone. You didn’t have to be credentialed or anointed by the media elite. For example, many of Wikipedia’s articles on the British aristoc­racy were largely written by a user known as Lord Emsworth. They were so insightful about the intricacies of the peerage system that some were featured as the “Article of the Day,” and Lord Emsworth rose to become a Wikipedia administrator. It turned out that Lord Emsworth, a name taken from P. G. Wodehouse’s novels, was actu­ally a 16-year-old schoolboy in South Brunswick, New Jersey. On Wikipedia, nobody knows you’re a commoner. Connected to that is the even deeper satisfaction that comes from helping to create the information that we use rather than just pas­sively receiving it. “Involvement of people in the information they read,” wrote the Harvard professor Jonathan Zittrain, “is an important end itself.” A Wikipedia that we create in common is more mean­ingful than would be the same Wikipedia handed to us on a platter. Peer production allows people to be engaged. Wikipedia took the world another step closer to the vision pro­pounded by Vannevar Bush in his 1945 essay, “As We May Think,” which predicted, “Wholly new forms of encyclopedias will appear, ready made with a mesh of associative trails running through them, ready to be dropped into the memex and there amplified.” It also harkened back to Ada Lovelace, who asserted that machines would be able to do almost anything, except think on their own. Wikipedia was not about building a machine that could think on its own. It was instead a dazzling example of human-machine symbiosis, the wisdom of humans and the processing power of computers being woven to­gether like a tapestry. When Wales and his new wife had a daughter in 2011, they named her Ada, after Lady Lovelace. From The Innovators: How A Group Of Hackers, Geniuses, And Geeks Created The Digital Revolution by Walter Isaacson. Copyright © 2014 by Walter Isaacson. Published by Simon & Schuster, Inc. Reprinted by permission.